Someone is stalking Sherrys stepmother, and its up to her and her ghost mother to put a stop to it! 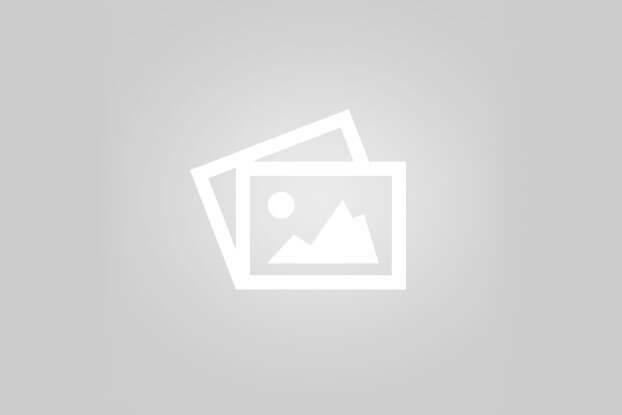 Check out Kidzworlds book review and summary of I So Dont Do Spooky by Barrie Summy! You’d think Sherry’s life was normal. She has an übercute boyfriend named Josh, who still loves her even though his glittered-up school project partner is determined to win his heart. She keeps up with the latest fashion and make-up trends. And she has a video game-obsessed brother. But that’s where the normal in Sherry’s life ends. Sherry can talk to ghosts. She can’t see them, but she can hear their voices. Since her mother died, Sherry’s been able to stay in touch. She even attends meetings with her mother at the Academy of Spirits (which is conveniently located in the local Dairy Queen!). At their latest meeting, Sherry and her mother are given an assignment: someone is stalking Sherry’s stepmother, and it’s up to them to protect her. But protecting her stepmother isn’t Sherry’s first priority. You see, her stepmother, Paula (also known as the Ruler), is a stern teacher at her middle school. Who would want to stalk an uptight, beige-wearing sourpuss like Paula anyway? Nonetheless, Sherry gets down to business. Could it be kids from the rival school’s robotics team hoping to sabotage their chance of winning this year’s trophy? Or is it someone even more dangerous…someone from Paula’s past? 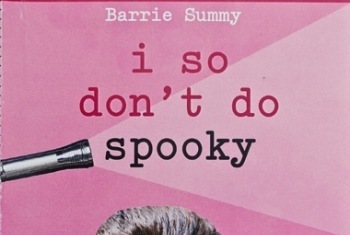 I So Don’t Do Spooky by Barrie Summy is a fast-paced, funny mystery that definitely captures the voice of a 7th grader. The characters are witty and fun to read about. 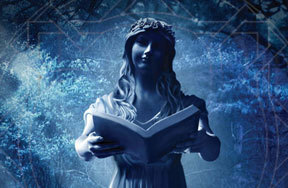 If you like kids books about ghosts, but you aren’t into scary books, then you’ll really enjoy I So Don’t Do Spooky. And don’t miss Barrie Summy’s first book about Sherry, I So Don’t Do Mysteries. Tell us what you think of this novel in our comments section below. Click here to buy I So Don't Do Spooky .